(VOVworld) – An award ceremony honoring the Project of the Year and the Architect of the Year for 2014 took place in Ho Chi Minh city on Sunday. The awards were organized by Ashui.com, the first e-portal specializing in architecture, planning, and construction. 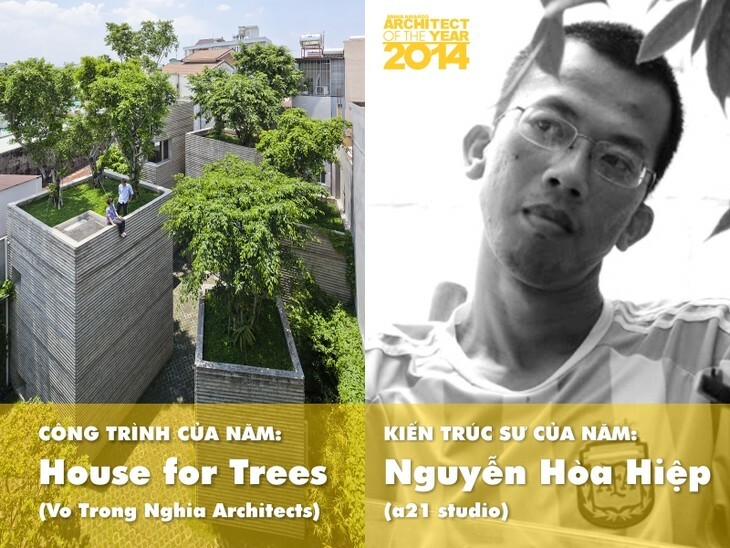 “House for trees” created by architect Vo Trong Nghia and his Japanese partners won the Project of the Year award. Nguyen Hoa Hiep was honored as Architect of the Year.